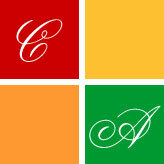 California Artists is an art and craft production company. We provide total coordination and production of the art and craft part of an event for any chamber, downtown association, or park and recreation department that is actively working toward the development of community identity and cultural awareness. California Artists takes care of all informational exhibitor phone calls, applications, etc. California Artists does professional festivals with as little as 100 exhibitors with approximately 20,000 to 30,000 festival goers to over 600 exhibitors and approximately 400,000 to 425,000 attendees over a two day weekend. We continue to grow in all aspects of every event we annually do. With the down turn in the economy and the persistent requests from event producers, California Artists will take on the entire production of any event for a chamber, downtown business association or park and recreation department. From basic planning, site location, arts and crafts, food booths, gourmet food booths, sponsorship, advertising, entertainment to volunteers for art and wine booths, we can and will provide it all, with care and attention to every detail. We continue to accept full service jobs and are becoming very successful in full service events, as in the past, of only providing just arts and crafts. Our goal is to make an event embrace the green scene, as well, and have a high visibility of recycling and quality health minded foods and snacks available for all event goers enjoyment. During our show season we give away a minimum of 200,000 show schedule fliers to festival attendees. We have found this on-site publicity encourages customers who have come to enjoy one of our shows to come to others on the list throughout the summer season.